I love innovation. Somebody thought up a great idea for musicians. 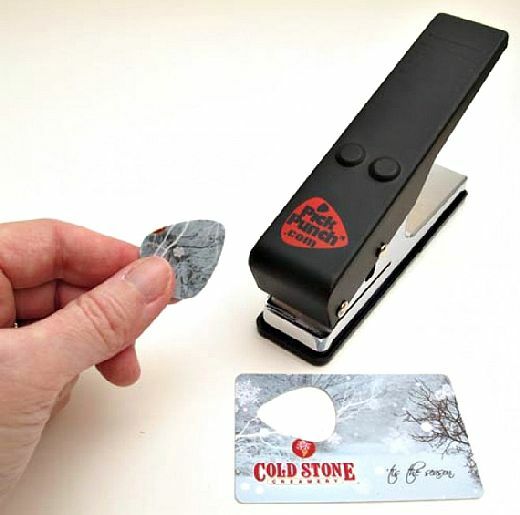 This is a great little hole puncher that punches out a guitar pick out of credit cards and those plastic cards you get from tons of stores. What a great idea for recycling and for when you need a guitar pick immediately. If you’re a guitar player, you really should have a Pick Punch. This would be a great stocking stuffer or gift for guitarists.